Get a Tulare County Traffic Ticket? You Can Beat It! Did You Get a Ticket in Tulare County, California? You can fight Tulare traffic tickets by getting them dismissed much easier than you may think. In Tulare, California, drivers are allowed to contest a traffic ticket using a Trial by Written Declaration. This is best way to fight a traffic ticket without going to an Tulare courthouse or hiring an expensive Tulare traffic ticket lawyer. We have found this to be the best way to contest a California traffic ticket, period. This option is available to every driver who receives a traffic ticket in Tulare, California. In fact, if you turn over your traffic ticket you will see that a Trial by Written Declaration is listed right on the back of your ticket as one way to fight it. This process has been around since 1978 to avoid having to pay traffic ticket fines. TicketBust has been helping California drivers prepare Trial by Written Declaration’s for over 14 years. In fact, tens of thousands of vehicle tickets in California have been contested using our system. We are the original traffic ticket fighter and the TicketBust system has been developed specifically to prepare all your documents properly based on how you answer a few questions. This way you can fight your ticket, knowing you have maximized your chances of having the court dismiss your Tulare County traffic ticket. TicketBust service will prepare your full defense package for you, which includes your Trial by Written Declaration and all the defense documents required by Tulare traffic court. Fill out the yellow form to fight your Tulare traffic ticket now! Did you know that you aren’t allowed to pass the white limit line when you are stopped at an intersection? From our experience, this can be a common ticket issued in the county of Tulare, so be on the lookout and stay behind that solid white line. If you find yourself having received a traffic ticket in Tulare, give us a call or fill out our form to see how we can help! Tulare County is named for Tulare Lake, once the largest freshwater lake west of the Great Lakes but now drained for agricultural development. The name Tulare comes from the tules, a kind of plant that grows in wet areas. 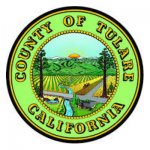 Tulare County was originally formed in 1852 from parts of Mariposa County, yet portions of the new territory were later given to Fresno County in 1856, Kern and Inyo Counties in 1866, and to Kings County in 1893. In 1906, Colonel Allen Allensworth founded a black farming community in his name. The community was intended to be a place where African Americans could thrive free from white discrimination and was the only community founded, financed, and governed by African Americans in California. Unfortunately, the community encountered environmental problems and later failed. Today, that same area is preserved as Colonel Allensworth State Historic Park. Tulare County is home to 464,500 residents, over a quarter of which live in the city of Visalia located in the northeastern portion of the county. The county has a total area of 4,839 square miles and includes Blue Ridge National Wildlife Refuge, and Sequoia National Park, the second U.S. National Park established after Yellowstone. The County of Tulare is centrally located within the heart of Central Valley and is also home to the World Ag Expo, the world’s largest agricultural exposition. Tulare County’s dairy industry typically brings in more than $1 billion annually into the county, while oranges, grapes, and cattle-related commodities also earn hundreds of millions each year.